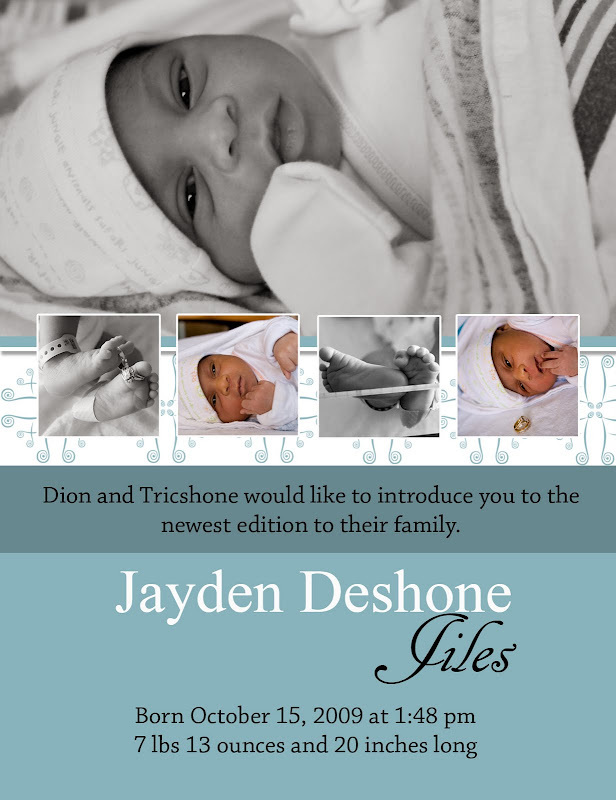 Congrats Jiles Fam on your new addition! Mom and Dad Jiles wanted to send thank you cards for their baby shower and birth announements all in the same card. So we put a little montage together on the front and left the back blank so they could write a personal note to each person.